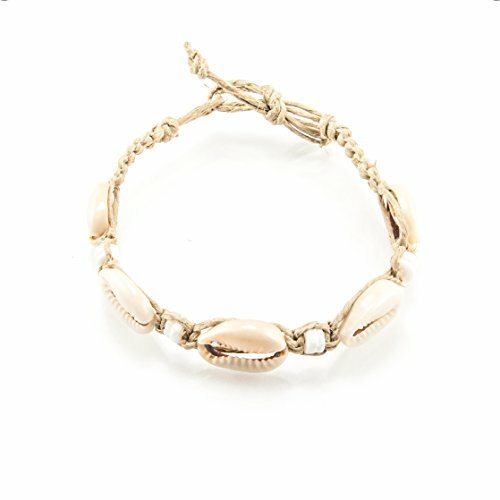 Each anklet bracelet is handmade and inspected to ensure the highest quality for our customers. Great as a gift! 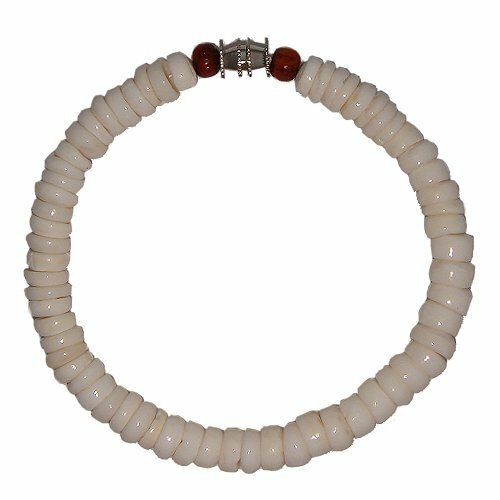 This is the perfect anklet bracelet to wear to the beach or if you just want to add that surfer touch to your outfit. 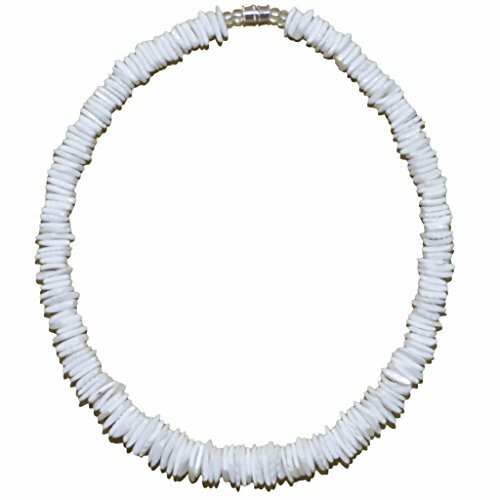 Easily adjusts for anklet or bracelet by untying the ends and adjusting to the desired size before retying. Returns: We believe in providing excellent customer service. 100% satisfaction guaranteed. In any event, if you feel that you are not satisfied with your purchase then feel free to contact us. 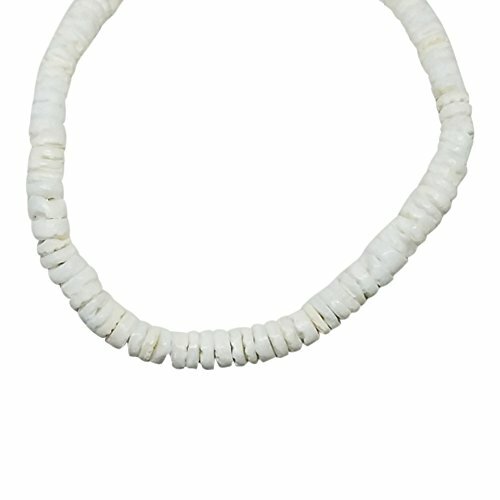 You have found an Authentic Native Treasure Tiger Puka Shell Necklace. 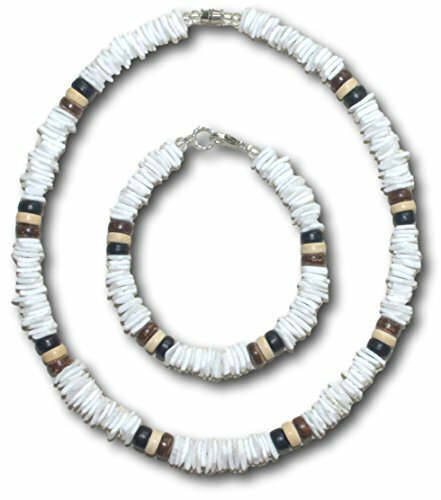 .....This Native Treasure Authentic Tropical Jewelry Puka Shell Necklace is Beautifully Hand-crafted in our Tropical Jewelry Shop by our own Native Island Artisans using the medium 6-7mm (5/16") Hand-Sorted Class 'A' Quality Tiger Puka Shells. .....It is our standard 18" length and is ideal for Men, Women, Boys and Girls, and Teens and Kids. Also very popular among the surfers. 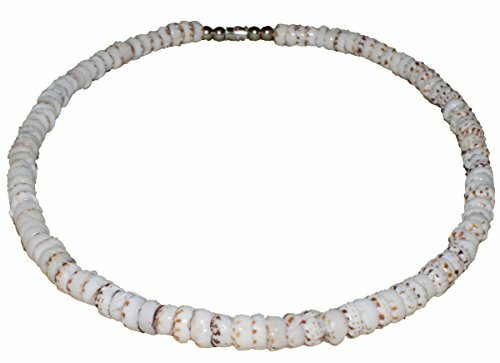 .....'Good Karma' Tiger Puka Shells with the tiny Spirals Inside, Indigenous to the Powder White Beaches of the Philippines. Perfect to take that Tropical Feeling with you! Truly Native Treasure! .....Features Silver Plated Bead Trim with Durable Stainless Steel Beading Wire and a Strong Grip Nickel-Free Twist Lock for an Easy, Secure, Long Lasting Fitting! .....Add a Hot Tropical Accent for Your Attire Now! 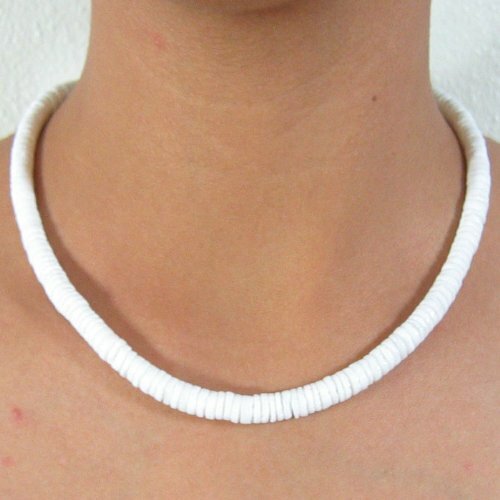 Great for the Beach, Work, School, Parties, Luaus, Vacations, Gift Giving, and just looking cool. .....Get Noticed and Delight Yourself with Your Fair Share of Compliments! Grab Your Piece of Native Treasure Now and take that Tropical Feeling with You! 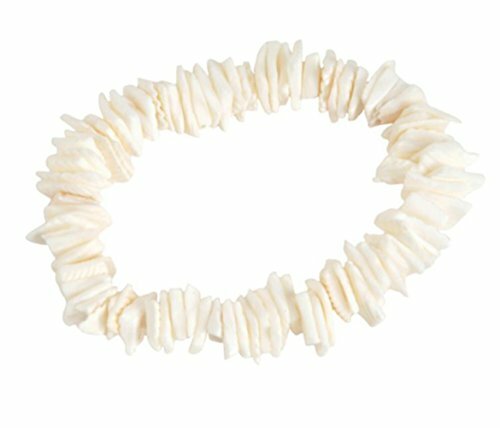 ...Authentic High Quality Tropical Jewelry not Found in Stores!